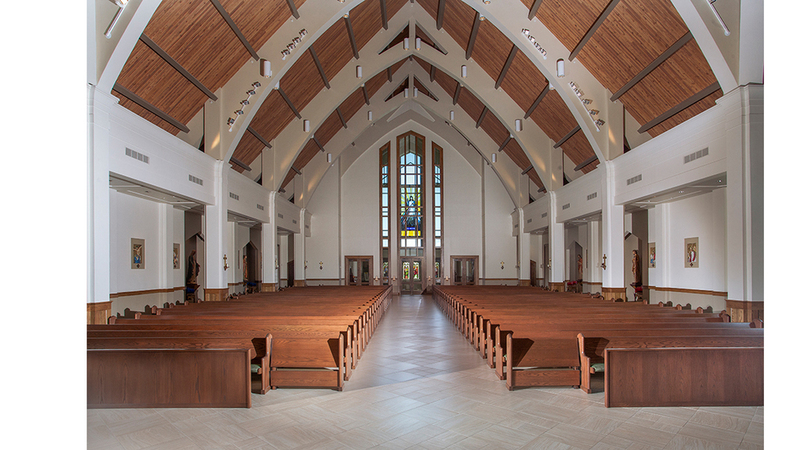 A new church for two merging parishes, St. Elizabeth Ann Seton and Nativity of Our Lord, in Kenner, LA. The Divine Mercy Catholic Church is a cruciform layout that provides seats within the Nave and Transcepts that will accommodate 950 parishioners. 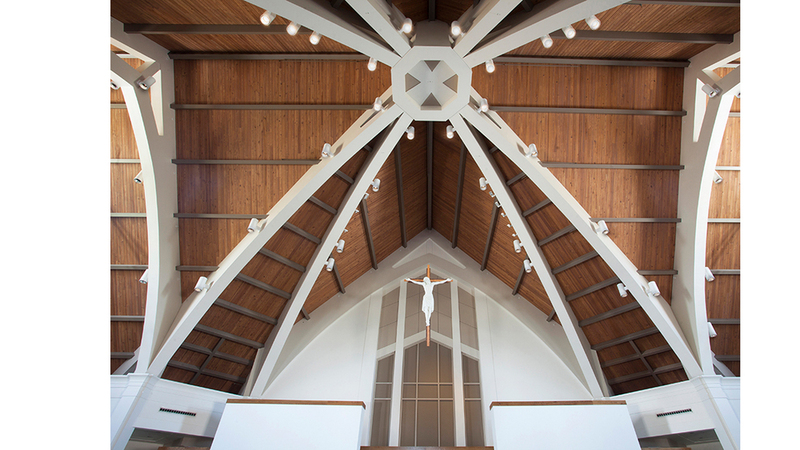 The church is approximately 19,600sf and is constructed of brick and stucco on the exterior with exposed trusses and a wood deck ceiling on the interior. The interior features a window wall separating the Narthex and Nave.